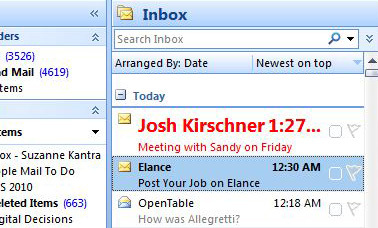 Here's how email will appear if you assign red to a contact. Apply Current View to Other Mail Folders. Select the folders where you want the conditional formatting. There's a box at the bottom that lets you choose to "Apply view to subfolders" so you'll be covered if you create new subfolders. Type in the email address of the sender or senders you want to highlight. For multiple people, separate the emaill addresses with a semicolon. 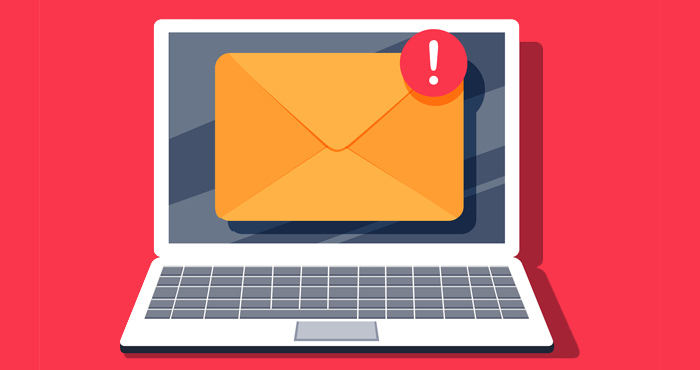 When you're finished creating your rule, important email will stand out. Given that macs make up the majority of computers for early adopters, and an even higher percentage for female early tech adopters, you might note that the color coding of email works easily in Mac Mail as well. 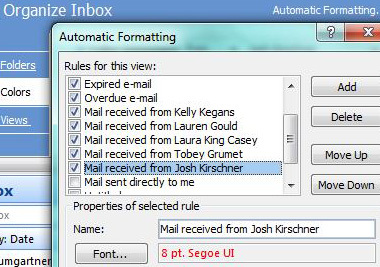 Merely go to Mail > Preferences > Rules and add a rule that assigns a color to specific senders as you designate. Keep up the good work. By the way, I really liked the daily coverage of CES. 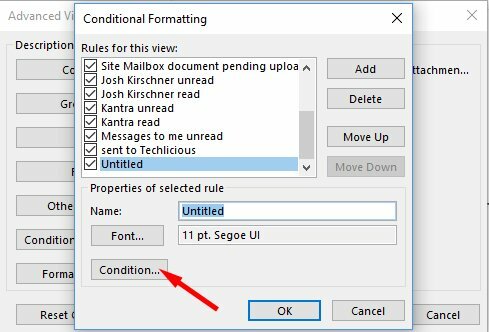 Outlook from mac does not appear to have an option to modify colors, nor modify fonts under rule actions. Are there extra steps or commands that might be missing? 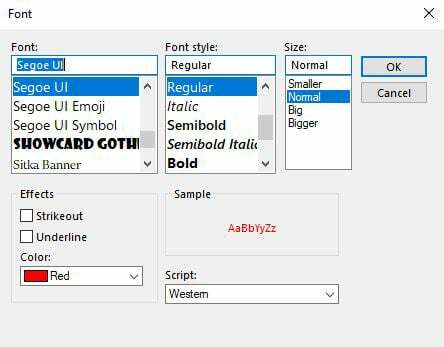 Outlook is so unintuitive, I could not for the life of me figure out how to color code. Your article was the only thing that helped me! How do I send color coded email ? I occasionally get an email in Outlook that stands out by its red color, as opposed to all the emails in the list that are plain black. How can I send an email that will show up on the receivers side in red color ? Color is controlled by the receiver, not the sender. 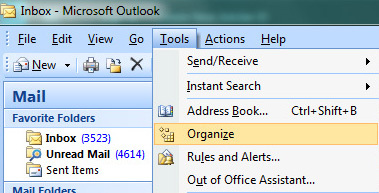 The color coding in Outlook is controlled by the receiver of the messages (based on their Outlook settings), not the sender. If you are seeing messages in red, it may because they were sent as “high priority”. 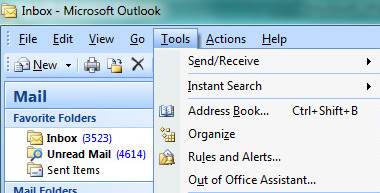 You can check your own Outlook settings to see which messages default to red on your end and, perhaps, your recipient will have it set up the same way. 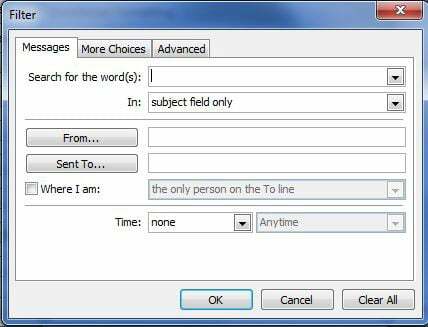 Also, this only applies to Outlook. If the person is reading those messages on a mobile device or via the web (e.g., Google Mail), settings will be different. I went through all these steps and even rebooted my system and the color code rule is not working. Any additional tips? Should I select Reset View to make the change occur? I just went through the process again with Outlook 2016 and it works the same. Just make sure you click “ok” on all of the boxes. 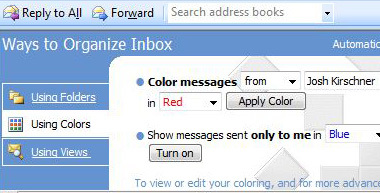 In Outlook2010 I want to select random emails to be different colours so I can go back to them later. How can I do that? And can I then filter based on colour? 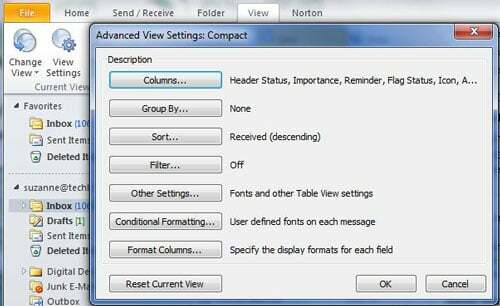 You can effectively do it using ‘Change View settings’ button from View menu. Bingo! Can you tell us these same steps if you're using Outlook 2016 for Mac? Our company is mostly PCs so these instructions will work for them, but we have 6 Mac users and these directions don’t work for the Outlook 2016 for Mac. Can you write up directions for that? Thanks! I was wondering if there is any way to get the color coding to show up on the Iphone app view?? Is there a way that I can decide? If I get 15 emails from the same person and only 1 is important enough to be flagged, that’s the only one I want highlighted, bold, Arial, with a 16 pt font size, can I make a menu item to do so? I tried to follow the directions. 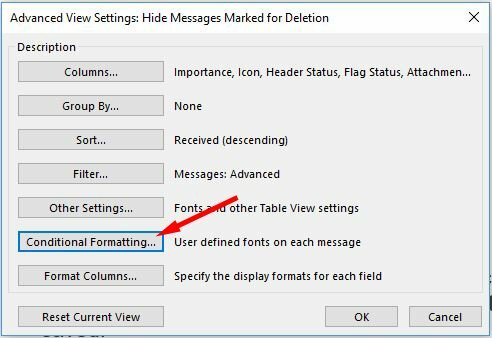 On the advanced View Settings: Compact dialog box, I choose conditional formatting; I then identify a few people I want to receive in a different color, hit ok. their names appear in the Filter section of the dialog box. I want to add more names but will they all appear? Your screen shot just says “advanced” in the filter section. and I just had to clear everything I did in previous message as my inbox disappeared. I guess what I did was to only have emails from certain people appear. so, I am missing something. I’m having issues prioritizing rules that may overlap. For instance, I have the default “unread messages” rule set to have the font in red. However, I also have a rule for messages sent only to me (and CC: and BCC: being set to “empty”) to be green. So, when I receive an email sent only to me but it’s unread, it defaults to green. I want unread messages to first prioritize to red (even if only sent to me). I can’t seem to select the “move up” or “move down” buttons (they are greyed out- is it possible these have been deliberately restricted?). that did the trick for me! When i add additional rules for another email and colour it does not do it. 5. 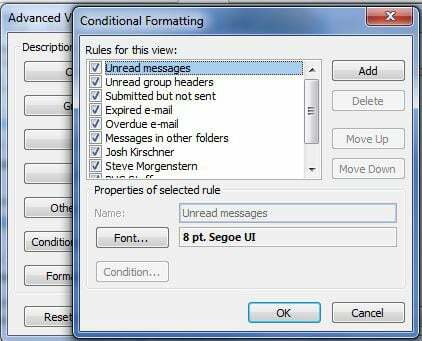 Only at the very end, add a rule that you create for Unread Messages. I am trying to colour code messages that I have sent to specific people but just can’t get it to work. I have successfully colour coded messages from specific people with various colours. Is this what the Sent To field is for? Also, how do I make it colour code emails to multiple people at the same domain address? I have done this successfully for emails from a domain. 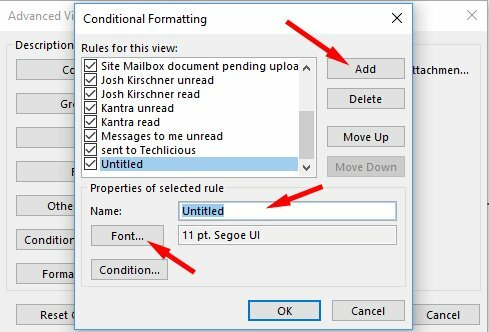 To color code sent mail items, you should select your sent mail folder, then go to View > View Settings > Conditional formatting. 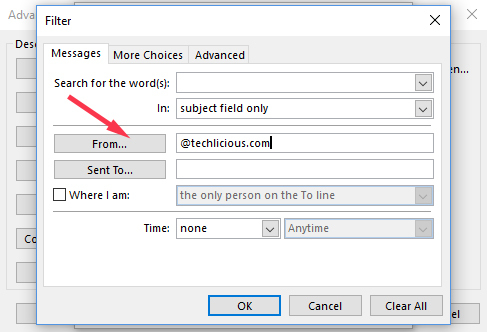 And then you are correct in that you should put the email address or domain in the “Sent to” field. otherwise, include the full email and separate recipients by a comma. I noticed that the color coding will only apply to the Main Inbox folder. How do I make it so that automatically applies to the sub-folder inboxes, I create, as well? Thanks for the simple steps with screenshots. It works just fine. Thank you for the tutorial on this subject. This was saved my time. How do I keep a custom color After messages are READ? Thank you! One question - the coloring works perfectly. After I read a message, the color goes back to standard/whatever it was before, and I lose the highlight on the sender’s message, but would like for it to remain. 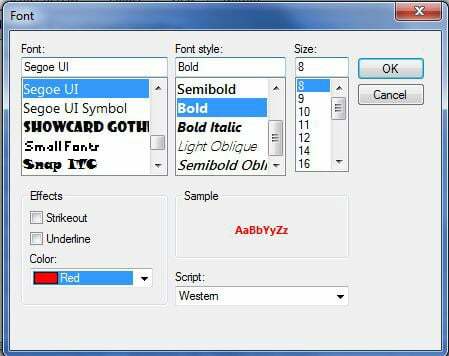 How do I set that condition? Thanks for the clear steps by the way in this document. Have a great day. As an update; I found the answer to my own question just now, uncovered a conflicting rule on “Read” messages. Unchecked it and I’m good. So now my comment is just; THANK YOU! Happy you found the advice useful.